Age: 17 years old. Born on the 5th month on the 24th day. Symbol: Philip’s symbol is a wolf head with two swords crossed behind it. Like a skull and crossbones. This. Hair: Light silver hair that covers his ears and reaches his shoulders in the back. Clothes: Normally wears a gray t-shirt and jeans when outside of combat. 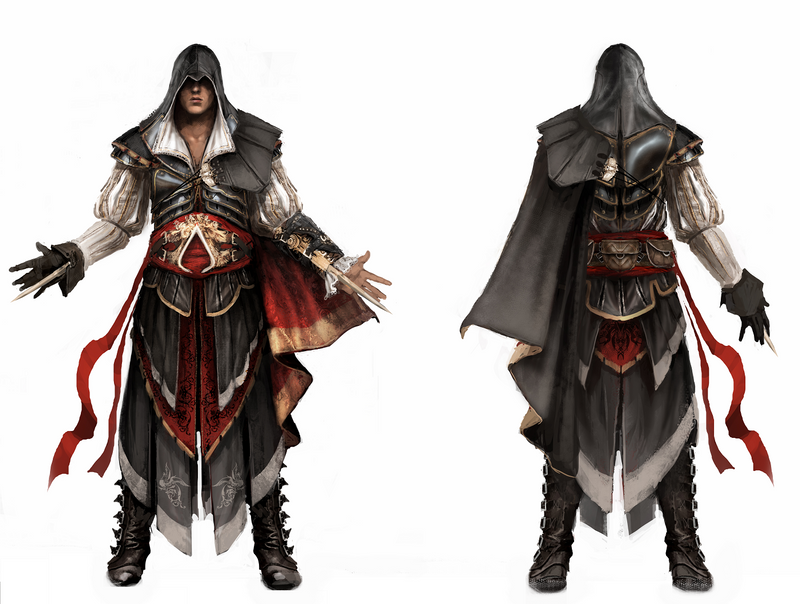 His combat gear consists of a smoke coloured hood that drapes down to his ankles. A red cape around his waist covers his weapons. Similar to this. Born outside of Vale, Philip was raised by both his mother and father. 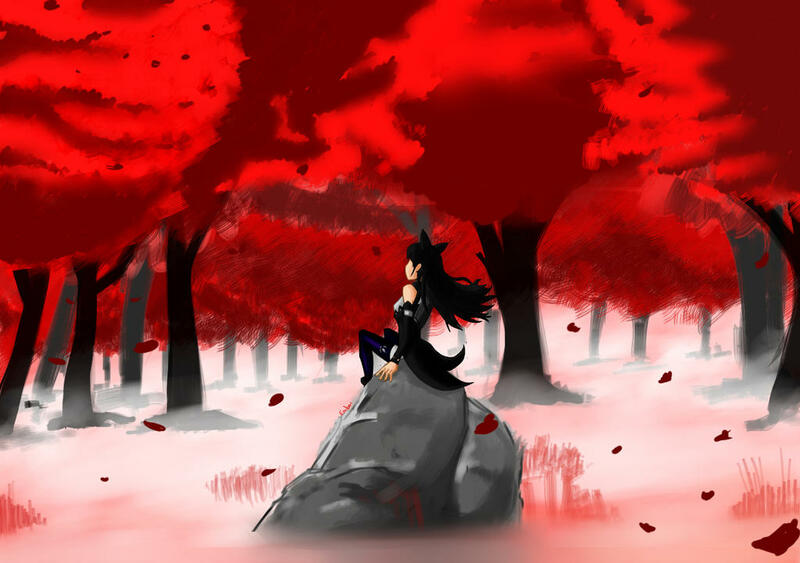 His father was a retired hunter and his mother nothing more than a simple faunus. Before Philip was six years old his father began teaching him how to fight and defend himself, as all faunus should know. At the tender age of seven Philip had mastered the sword and gun and was eager to show his skills to the world. However, his happiness was short lived because late at night one evening his mother was killed in a hate-crime and his father was kidnapped. He was sent to an orphanage to live alone with only the few things they would let him take from home, including two weapon’s that belonged to his father and a set of combat armor. Philip never had any friends in the years spent at the orphanages due to his faunus heritage. With nothing such as friends to distract him, Philip began to sharpen both his mind and body. By the age of ten, he was stronger and smarter than all of the other children his age. By eleven, he was smarter than some adults and was only getting stronger. During his twelfth birthday Philip ran away from the orphanage he was at and escaped to Vale by hiding in trucks and hitchhiking. In this new kingdom he set out to make a name for himself. He flew through Signal’s classes with ease and now he finds himself at Beacon. Personality: Philip prefers books or music to people because that’s all he had while growing up. However, as a result from his time hitchhiking across the Kingdoms he is also able to socialize and get along with people quite well. Despite the fact that most people don’t show him kindness, he always is as friendly as can be with a smile on his face. As a side-effect of his wolf-like traits Philip is ‘nocturnal’. Strength: Thanks to his faunus traits he has excellent hearing, sight and smell. His father’s lessons from when he was a boy taught him to be an expert with both swords and guns. He is also a capable hand-to-hand fighter but prefers to use his weapons. Years of studying war-tactics have made him an excellent tactician. Weakness: While fighting, Philip will always look after the safety of an ally more than his own. Due to the fact that he uses two swords, he cannot block strong attacks easily and due to the thin combat-gear he wears, it is easy to wound him. Semblance: Hyper focus. This is essentially a temporary slowing of time. Philip sharpens all his senses to extraordinary levels. This allows his to catch arrows out of the air, dodge bullets, attack faster and more accurately. The longer he uses his semblance, the more draining it becomes. Primary Form: In their primary forms Romulus and Remus are both silver Desert Eagle’s with their names carved into their barrel’s. Secondary Form: Romulus changes into a silver gladius while Remus changes into a silver pugio. Remus can cut through most armor but lacks the length to do real damage while Romulus can’t puncture most armor but is easily capable of beheading a Beowolf. History: Philip took his weapons from his childhood home as something to remember his family by. They and his combat-gear are the only things he has left from his parents. Due to this, he never goes anywhere without them. You'll need more details in every section with appearance being the sole exception. Appearance could use some, but it's not a requirement. Read through some of the profiles we've already approved to get an idea of what to add. I added more. Tell me if there's anything else I should add. The only question I have is about the semblance. Everything else looks alright. You gave it a limit of half a mile, but state he tends to use it for short jumps in combat. There should be a limit to the number of jumps, or perhaps a short cooldown between jumps. That said, short range teleports are EXTREMELY common on this site. I'm guilty of having one as well. While I won't deny it because of this, I wanted to let you know in case you wanted to have something a little less common. Sorry for the delay! Busy times and miscommunication and the like! You can have the original ability if you want. I will approve it. In fact, I'll leave this character here for a bit, approved, so you can comment on it if you want to change it back, or what not. Either one is acceptable though. I'll also throw my approval in the ring, and give 48 hours for you to change the semblance back if you so choose. If you change it back before than, send a PM to me or Koop and we'll get you moved appropriately, and if not I'll move you to approved in 2 days.